There are few players on Real Madrid’s current roster who can persuasively claim to embody the spirit of the club with the same degree of commitment and passion of Sergio Ramos. Indeed, Ramos can be in many respects seen to personify much of the traditional spirit and soul of Spanish football. After all, it was not until the simultaneous rise of the Pep Guardiola era Barcelona and Vicente Del Bosque’s Spain side around 2008 that the Spanish national team and La Liga more generally became synonymous with the so-called tiki-taka football philosophy. A fast-paced, dynamic, pass and move game that eschews physical confrontation at almost all costs. Rather, Sergio Ramos constitutes the epitome of the roots of La Furia Roja’s traditional style of play. Ramos excels at this brand of ballistic, powerful, and committed football; a physically attritional style that involves standing toe-to-toe with the opposition XI and staring them in the eye until they blink first. And, although Ramos is more than capable of fitting into the recently dominant tiki-taka system – he did, after all, form a cornerstone of the defence which underpinned Spain’s 2010 World Cup and 2012 European Championship triumphs – it is a more direct, vertical, and directly offensive system in which he flourishes. This was certainly evident through the course of 2013-14 season. The incoming coach, Ancelotti, fast realized the need to keep Ramos in central defence and to give him the licence to express himself on the ball and to join in with attacking set-plays in order to get the best from the supreme athlete that Ramos is. 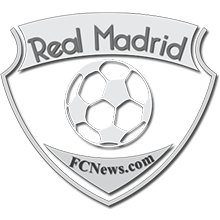 Ancelotti’s decision create the tactical conditions under which Ramos could flourish was certainly well rewarded; for even despite Cristiano Ronaldo’s remarkable 17 goals en route to sealing la decima, it was arguably Ramos who provided the key injection of thrust when Real needed it most. With the Semi-Final Second Leg away at Bayern delicately poised at 1-0 to Madrid from the game in the Bernabeu, for example, it was a quick fire double from Ramos that put the game beyond doubt. The Spaniard rose highest and with unrivalled zeal and commitment to crash home two towering headers that sealed Madrid’s passage to their first Champions League Final since 2002. And Ramos’ most iconic moment at Real would come in that Final as his 92nd minute header was angled with precision into Courtois’ bottom corner. 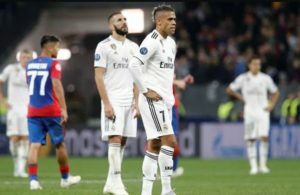 The goal saved the tie for Real, levelling the game at 1-1 when all had seemed lost, and it enabled Los Merengues to rally in extra-time and score the three goals which sealed the club’s tenth and most coveted Champions League triumph at the expense of their city rivals. The hefty €27 million fee that Perez paid to acquire the 19-year-old from Sevilla in 2005, therefore, was money well spent. Ramos has gone on to enshrine himself as one of the most important defenders in Real’s modern history with 287 appearances and 36 goals to date.